We hope that you find all the answers to your questions here but if you need more information please contact us. We will provide waterproofs and all appropriate safety equipment, such as life jackets, but you’ll need to bring the basics. Check our Crew Handbook, but the basics include toiletries and towels, appropriate clothing for the time of year, trainers, swimwear, medicines and sunscreen/hat/sunglasses. If you play a musical instrument such as a guitar, or a ukulele please bring it. Do I need to bring a packed lunch for the first day? No. You will join the boat around 11am, unless you are told differently. You will have lunch on board at about 1pm. If you come as part of group then all the crew will be from that group. If you come on your own, you will be with up to 11 other trainees who are in the same age group as you. All the trainees will either be 14-15 or 16-19 year olds. All voyages are either exclusively for girls, or boys. We run some mixed voyages for people aged 18-25. Can I sail with a friend? We encourage everyone who wishes to sail to do so on their own, and to meet other new people who are also on their own. If however you wish to sail with a friend you can sail with one other person you know. We cannot take more than two people who knew each other on any given voyage. What will I be doing on my voyage? As a trainee, you will be an active crew member on the boat. You’ll quickly become a valued crewmate and will soon feel like part of the team. You’ll get involved with every task on board, including hoisting sails, navigating and steering, cleaning the decks. You’ll get involved with cooking and washing up, but don’t panic if you can’t cook, you’ll learn quickly. You will also have time to go ashore and visit new places. If the weather is right you might go swimming, visit a beach or have a BBQ. Above all you will be learning new skills, meeting new people and having a wonderful time. Will we sail at night? Probably! Sailing at night is incredible and can be lot of fun. Sometimes the vessel might sail through the night, but don’t worry, you won’t be on duty all the time. Each watch usually lasts between two to four hours. Sailing at night is amazing, you may see shooting stars, a meteor shower or phosphorescence. How old will the rest of the crew be? All crew will be aged 14 and 15, 16-19 or 18-25. The volunteers, or Afterguard will be aged 16 and above. Merrilyn is 62ft and can sleep a maximum of 16 people. Donald Searle is 75ft and can sleep a maximum of 20 people and Rona II is 68ft and can sleep a maximum of 23 people. If you are aged 14 or 15 you will spend the first day in the Solent and then you will probably head West. Where you go will depend on the weather but you will probably visit the Isle of Wight, Dorset and Devon. You may also visit ports such as Portsmouth, Gosport or Yarmouth. If you are aged 16 or above you may also visit places in France such as Cherbourg or Le Havre or the Channel Islands; Guernsey, Alderney or Sark. Will I be able to have a shower? Not on the boat, however you will be able to have showers ashore in marinas. We understand that everyone uses their phone to take photos and stay in touch. However, there will be rules about when you’re permitted to use them, and there are limited facilities on board to charge them. You will sleep in a bunk. All bunks are either in large cabins or in an open plan area. Not much. All food and drink on board is provided. You may want money to buy souvenirs, a postcard or an ice cream when you are ashore but you won’t need a lot of money. We would recommend that you get Euros when you arrive in France as you need it, rather than bringing it with you. Can I sail if I never have sailed before? Yes! The afterguard are very experienced and are there to make sure you are safe and to teach you everything you need to know. All of our crews are a mixture of those who haven’t and those who have sailed before – it doesn’t matter. Can I sail if I have dietary requirements? If you have any dietary requirement please ensure it is noted on your booking form. We will try our best to cater for restricted diets such as allergies, vegetarian, or gluten free however we cannot easily cater for fussy eaters. A medical condition won’t necessarily mean you can’t sail, but you must tell us if you have any medical conditions at the time of booking. We need to consider whether it’s safe for you to sail. Also if you develop any medical conditions before you sail but after you book you must let us know. Can I use the voyage for my DofE award? Yes. It’s an approved activity for your Residential Gold Award. Please note however you have to tell us in advance and ensure that all your paper work and admin is in order. We cannot retrospectively sign off on your paperwork. You can never smoke below decks on a boat. Your skipper will advise where and when smoking is permitted on deck, and whether over 18s can drink alcohol. We have zero tolerance to drugs. People who break this rule will be sent home or reported to the authorities. It is no big deal if you do – even Nelson did! Don’t be afraid or embarrassed to admit that you feel unwell. Seasickness is nothing to worry about. Most people will experience it at one time or another, and it will pass. If you know that you suffer from seasickness or you get travel sick, mention this when you book. Can I sail as a Watch Leader? 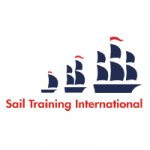 You have to sail with us at as a crew member before you can be recommend by your Skipper to attend Watch Leader Training, after which you can sail as a Watch Leader. Our minimum age is 14. If you think that your child may have some barrier to sailing but would like to please call us to discuss. 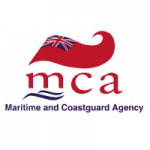 Even if sailing with us is deemed to be unsuitable we may be able to advise an alternative. How do we apply for a berth? Please have a look at the sailing programme here (hyperlink to calendar) and email or call us to check availability and then we can send you a booking form. Do we need to put travel insurance in place for the voyage? We strongly advise that you take out insurance for anyone sailing with the Rona Sailing Project. It is very important that you ensure your policy covers sailing more than 12 nautical miles offshore. Please ensure that your child brings any relevant medical cards and contact information with them. Can we keep in contact during the voyage? No news is good news, so if you don’t hear from your child don’t worry. They most probably aren’t using their phone as much or are too busy to call. If you need to contact your child urgently you can call the office and we will get a message though as we are in regular contact with the vessel. We carry AIS on board and you can track the boat using the Vessel Finder website. Do they need to bring a passport? We would advise that they bring some sort of ID, and/or proof of address or residency but not necessarily a passport. What time do they join the boat? If you are dropping your child please be here at 11am on the day the voyage starts. Please try to arrive as close to 11am as possible. Access to the boat before then isn’t possible and parking charges apply in the Marina. The pick-up time at Richmond Station is 9.30am and please ensure they are there 10.45am from Southampton Airport Parkway. When do does the voyage end? Please collect them as close to 3pm on the last day as possible. If they are on our minibus then they will be dropped to Southampton Parkway for 3.30pm and Richmond for 5.30pm – however please note this is approximate as it is dependent on traffic. Do we have to provide specialist sailing clothing? No. We provide all appropriate safety equipment, such as life jackets, and wet weather oilskins. It is not necessary to have technical sailing clothes. A week long voyage costs £215. 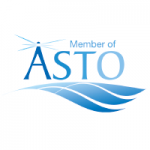 A berth is secured with a £60 deposit and the balance is payable a month before the voyage. All food and drinks on board are covered as well as all safety gear on board. Are there bursaries available for sail if we can’t afford the full fee? We can assist with bursary for those who cannot afford the full voyage fee. Please note we can only support people who have not had a bursary before only when a contribution is made towards the £215. Yes! See the volunteers FAQ below. With only a full time staff of 4, we depend on volunteers to man the voyages and to help run and support the Project in a variety of ways. If you want to be considered as a volunteers, please contact us. We also have an application form which you can fill in and send to us. If you wish to sail then it’s preferable that you have some experience. We don’t require any sailing qualifications to sail however in order to progress you will need to gain RYA qualifications independently. Before you volunteer you need to complete an enhanced DBS check and an online safeguarding course. We are happy to explain all of this further. Yes – however you cannot sail as a skipper with the Project without having gone through the established process, regardless of your experience or qualifications. Everyone starts as a Supernumerary and has to be promoted through the ranks from Watch Officer to Mate and then to skipper. This is because we are not only looking for skippers, but skippers who can run a sail training voyage in accordance with the ethos of the Rona Sailing Project. I have never sailed before can I still be involved? Yes. Either contact us with your interest or fill in the form. Your first voyage as a supernumerary is like a training voyage. 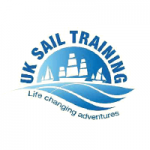 You will learn how voyages run and how we implement our sail training programme. After this voyage you want to sail again you will have access to the in-house training programmes, relevant to your rank and experience. Can I do my Day Skipper with Rona? While we will do our best to train people to fulfil their duties, we can only offer training to those who have demonstrated an ongoing commitment to the Project. 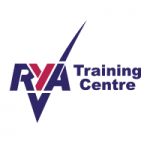 Even though we are a recognised RYA centre, our resources are limited and we run courses on a non-commercial basis as necessary for volunteers.